How many new Christmas movies do you think come out each year? I get overwhelmed just thinking about it! I really have no idea, but there are a lot! 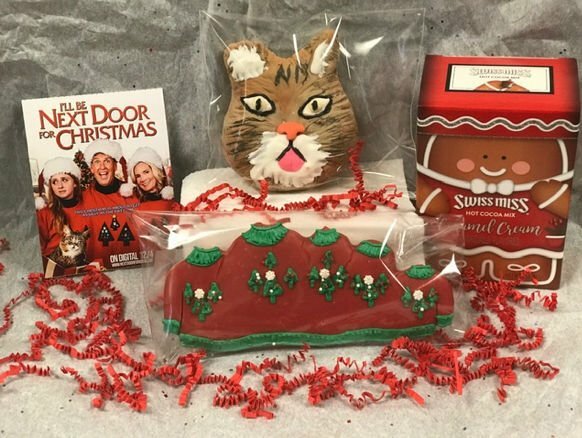 One of the new Christmas movies for 2018 is I’LL BE NEXT DOOR FOR CHRISTMAS, and it’s available now! I got to watch an early screening of the movie, and I really enjoyed it. Does your family go a little crazy around Christmas time? I mean, decorating crazy like Clark Griswold crazy. 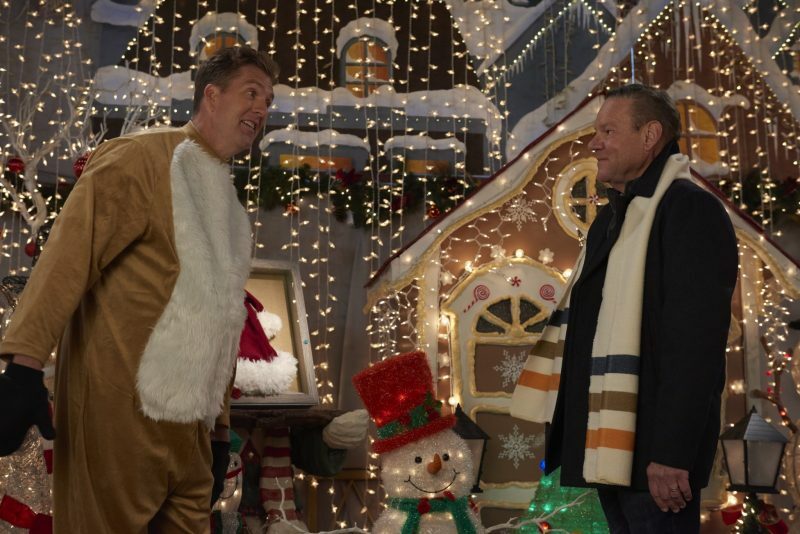 If you do, and you love decorating to the max, I’LL BE NEXT DOOR FOR CHRISTMAS has a new Christmas movie dad for you to admire! He is even more Clark-like than Clark! Chris (played by Regan Burns) is that dad. If you missed my announcement post for this new Christmas movie, you can go here for the basics. I’m going to give you more fun details about the film but no spoilers! I liked I’LL BE NEXT DOOR FOR CHRISTMAS a lot more than I thought I would. Like I said before, there are so many new Christmas movies each year because there are so many networks and streaming services making their own movies! Many of them are epic fails, so you just don’t know what to expect when you watch a new Christmas movie. 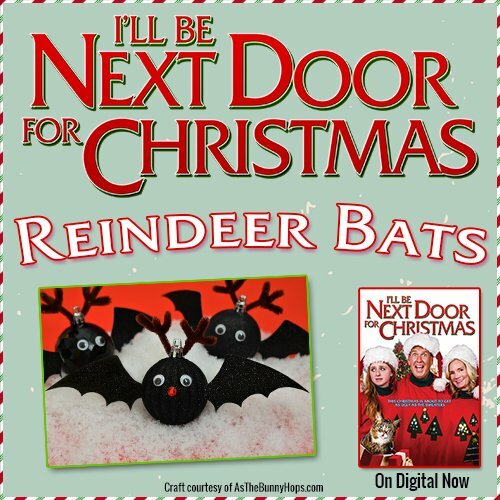 I’LL BE NEXT DOOR FOR CHRISTMAS is definitely not an epic fail. It’s a keeper in my book. It is a family friendly movie for the most part, but there are a few suggestive moments and instances of swearing. Sometimes I think parents forget that PG means, “Check this out before you see it with your kids.” If you’re at all concerned about a movie being okay for your kids, just watch it after they go to bed and decide. This movie is fine for teens though. In the film, Nicky (played by Juliette Angelo) is tired of her family’s obsession with Christmas. When she comes home from summer arts camp, her dad is already decorating for Christmas (in August). Her mom, little brother and little sister all love the crazy Christmas decorations, so they just assume Nicky does too. That assumption leads to some crazy deception and hurt feelings. Like all good Christmas movies should, I’LL BE NEXT DOOR FOR CHRISTMAS has a happy ending and leaves you with a good feeling. There are lots of laugh out loud moments, and the acting is very good. I loved seeing Atticus Shaffer in the movie even though he has a small part. 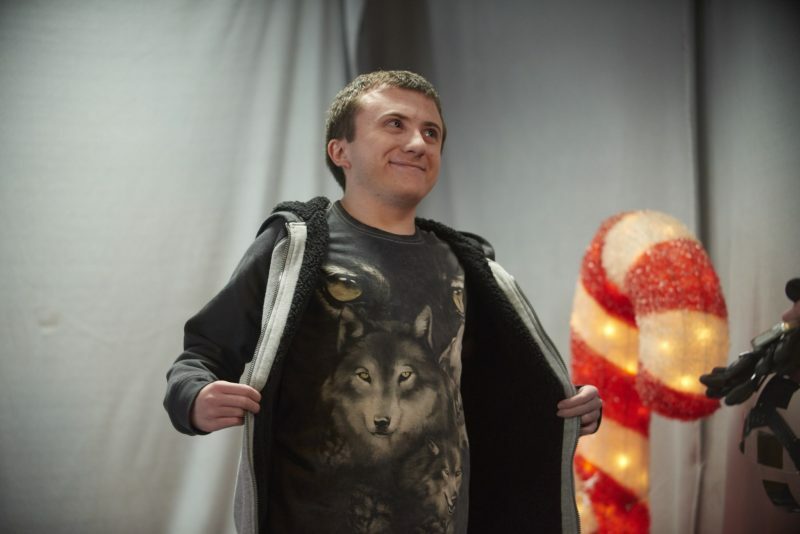 I loved THE MIDDLE, and I miss seeing him as Brick! 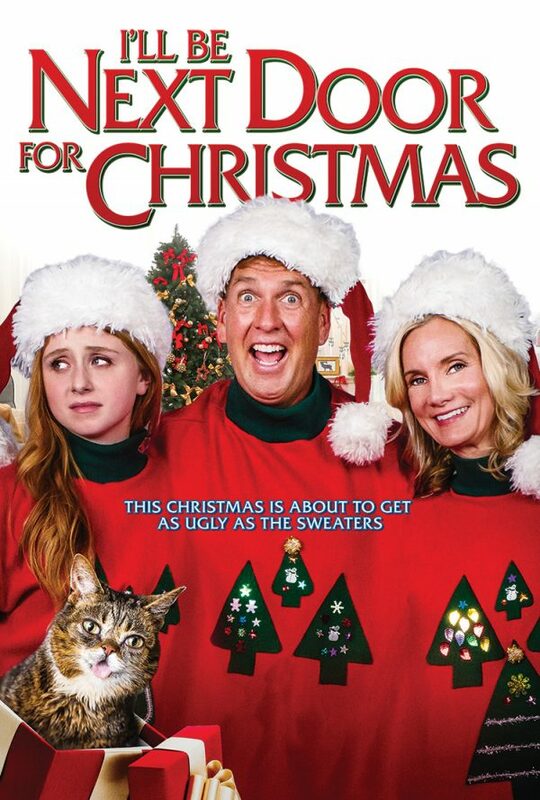 I’LL BE NEXT DOOR FOR CHRISTMAS is a movie I recommend with the above PG warnings. I’m sure I’ll be watching it again this holiday season! I got this adorable kit from the sponsors too! You definitely need to make some cookies and hot chocolate to enjoy while you watch I’LL BE NEXT DOOR FOR CHRISTMAS. The world’s first Christmas movie to use investment crowdfunding successfully, I’LL BE NEXT DOOR FOR CHRISTMAS, is available for the suggested retail price of $12.99. Once you see the movie, you will totally get this! This craft is courtesy of my friend Amy at As The Bunny Hops! Click the button below to get the instructions and bat wings template. Click above to download the instructions and bat wing template! Sounds like a good movie!